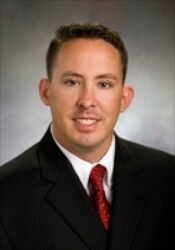 J. Derrick Maginness is an associate attorney and a member of our trial practice and dispute-resolution group. Mr. Maginness handles complex commercial litigation matters in all Florida state and federal courts. Mr. Maginness has represented individuals and businesses in a broad spectrum of legal matters. His areas of practice include corporate and business law, employment law, banking law, real estate transactions and litigation, association law, creditor’s rights in bankruptcy, landlord-tenant law, commercial litigation, mediation and other general litigation matters. Mr. Maginness received a B.A. in Political Science/International Relations with a minor in Military Science from The University of Central Florida in 2001, and a Juris Doctor from Florida A&M University College of Law in 2005. Mr. Maginness is admitted to practice in all Florida courts and the United States District Court for the Middle District of Florida. He is a published author in the field of construction law. Mr. Maginness is a member of the The Florida Bar, Sarasota County Bar Association, American Bar Association, and the 101st Airborne Division Association.Mr. Maginness served 12 years in the United States Army. He initially served as an enlisted soldier with the Iron Rakkasans, 3/187 IN of the 101st Airborne Division. Mr. Maginness served as a pre-ranger instructor and as the radio operator for General David Petraeus. He went on to successfully serve as an Infantry Officer in various positions from platoon leader, executive officer and company commander for D Company 2/124 IN in the 53rd Infantry Brigade. He has also served in a variety of staff positions for 2nd Battalion, 124th Infantry Regiment.